Bravo to LA Opera for delivering an outstanding evening of Opera! Conductor Matthew Aucoin’s orchestra brilliantly plays the iconic opening which set the tone of the piece. As the curtain rises, we see a beautiful, simple set design that is in contrast with the complexity of the characters. The lines and perspective of the buildings and their arches create the street scene, a fine choice by scenic designer, Michael Yeargan, winner of 13 Tony awards. The simplicity of the set enhances the viewer’s perception and helps the audience focus on the psychological intricacies of the plot as well as the main character, Rigoletto. Director Mark Lamos, arranges a balanced mise-en-scène, keeping the blocking of the actors minimal. Adela Zahari, Soprano, who plays Gilda sang “Caro Nome Che il Mio Cor” perfectly. She was the 2017 first place winner of Operalia. 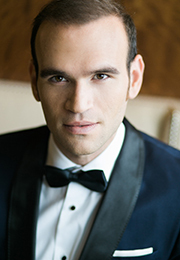 Michael Fabiano, tenor, making his debut with LA Opera, plays the Duke. Although his operatic voice is fantastic he falls short a few notes portraying the charm and charisma for which the Duke is noted. One of the highlights is the duet sung by Gilda and the Duke. Together Adela Zahari and Michael Fabiano connect with emotion and passion. Also debuting with LA Opera is the dynamic soprano, Ginger Costa-Jackson, from Palermo, Italy. As Maddalena, Ms. Costa-Jacson is engaging and a sheer delight. LA Opera’s Rigoletti is truly enjoyable, but sadly the season is wrapping up. June 3rd is the last performance at the Dorothy Chandler Pavilion. Tickets are still available. “Introduction to Rigoletto” breaks down the plot with the cast. Rigoletto – Ambrogio Maestri was born in Pavia, Italy, where he studied singing and piano. His sensational debut in 001 coincided with the most important musical event of the Verdi centennial, a production of Falstaff conducted by Riccardo Muti and directed by GGiorgio Strehler, which saw him in the title role at the Teatro alla Scala in Milan and the historic Teatro Verdi in Bussetto. This interpretation earned him enthusiastic reviews from the international press and opened the doors of the most important opera houses in the world. Tenor Michael Fabiano makes his LA Opera stage debut as the Duke of Mantua in Rigoletto, following his first company appearance in the Placido Domingo 50th Anniversary Concert (November 2017). Of his debut as Lensky in Eugene Onegin at the Royal Opera, The Sunday Times in London wrote: “I can’t think of a Lensky at Covent Garden who has held the audience so spellbound in 40 years of Onegin-goin…a glorius debut.” The recipient of the 2014 Beverly Sills Artist Award and the 2014 Richard Tucker Award, Mr. Fabiano is the first singer to win both awards in the same year, and is considered one of the greatest tenors in the world today. 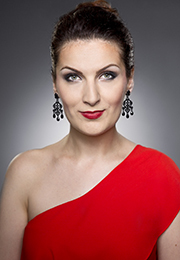 Adela Zaharia hailed as a “true revelation” by Euro News, Romanian soprano Adela Zaharia is the 2017 first place winner of Operalia. In the 2017/18 season, Ms. Zaharia returns to the Deutsche Oper am Rhein ensemble where her roles include the title role of Lucia di Lammermoor, Konstanze in The Abduction from the Seraglio, Gilda in Rigoletto, and the dual role of Fire and the Princess in Suzanne Andrade’s new production of L’enfant et les Sortileges. She is the recipient of the Grand Prix of the Haricleea Darclee International Competition in 2012. 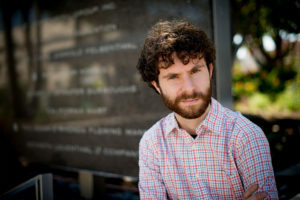 Matthew Aucoin, Music Director of LA Opera, conducts with exuberance bringing his youthful tenuis to the stage. 1 Comment on "Review: LA Opera – Rigoletto May 31st"